I know that this subject is off topic for my regular political fare, but it is too important to ignore. We are all worried about the government screwing us, but the danger is closer–and worse–than you can imagine. You are looking at the danger and maybe shaking its hand every day. 25% of all girls in the United States are sexually abused before they turn 18. 20% of boys are too. 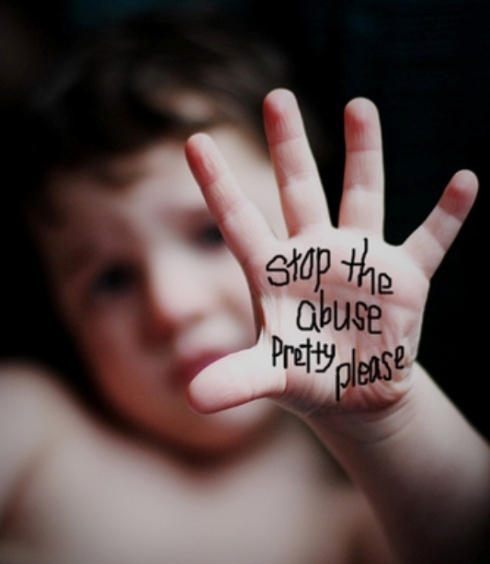 90% of the abusers are someone the child knows, trusts, and sometimes loves and not some stranger. 39 million American have been sexually abused and more are added to the list every day. Thats 11% of the entire population. Maybe even you or someone you love even if they haven’t told you. That means that you probably know a child who is being abused–maybe right now; and you probably know someone who is abusing a child–right now! You have to take the next step to stop this abuse. Only you can prevent it, not someone else. You. Yes you! Don’t permit any one-child / one-adult situations. Period. Don’t allow any child you love to be in such a situation. Ever. 80% of all abuse would be eliminated overnight if everyone just started this today. Abusers are your friends, your co-workers, coaches, clergy, and neighbors. Don’t give that person the opportunity to molest your child. Don’t allow your child to participate in any activity or event that does not have a written policy prohibiting one-child / one-adult contact. When you have a suspicion about a creeper, don’t ignore it. Our bodies are finely tuned to our environment, but we try to ignore our instincts. If you have a concern, be bold, direct, and observent. Combine a “spider sense” with unsupervised one-child / one-adult situations and you might be the only person standing between an innocent child and a real monster. If things don’t add up, then report your suspicions. Let the investigators investigate the case. If necessary, call the police or DFCS yourself. Be anonymous if you have to, but make the report. Molester are depending on you to keep quiet. Don’t. Some of you have no choice but to make a report. You are a mandated reporter. You might not even know it. Under Georgia law (buried in the domestic relations code at OCGA section 19-7-5), you are subject to criminal prosecution if you don’t report suspected abuse. You are a mandated reporter if you fall into the statutory list. As of 2012, that list includes: medical personnel, counselors, teachers, law enforcement, DFCS, clergy, and employees and volunteers for any organization that provides care, treatment, education, training, supervision, coaching or recreational programs to children. In other words, if you job or service brings you in contact with children, then you are probably a mandated reporter. If you are scouring the statute to determine if you are a mandated reporter then you should stop and report your suspicions right now and quit looking for a technicality. A child’s life depends on your courage. Get better training that a short summary can provide. Check out Darkness to Light and the training that they provide. Thanks to Governor Deal for sponsoring the training that I attended. It might be the best 3 hours you spend for a child that you know who needs your help. Previous postRepublican Convention Better Live? Next postJody's Party of the [Slutty] People!